Many years ago, when I was in government, Mario Cuomo, then New York’s Governor announced the “Year of the Woman”; we joked that what we needed was not one year but as many years as it would take to realize full gender equality. It did not happen then, and it has not happened yet, despite some innovative and ongoing efforts in both America and the Jewish community. This is, however, a critical moment in the lives of women and girls with a deep reveal of persistent problems of pervasive gender bias, sexual harassment and assault. We will all be measured going forward by what we do now to step up and keep these issues under sharp focus until dramatic new strides are made. I suspect I am not the only one who needs to re-orient myself. I have known over many years that problems existed for women, that pronouncements of gender equality or celebrations of new laws were just that—individual and anecdotal, not making nearly enough difference, even for women of privilege. We were pleased with every victory, but frustrated by the idea that we had won, that there was no more work to be done — when we knew that was not the case. Then I lost an election, moved to Jewish communal work, and discovered endless examples of sexism and gender bias there, too. On the one hand, as the CEO of American Jewish World Service, I was working with dynamic social change leaders in many countries, most of them women, stepping forward to make change; these women quickly became my role models, pursuing their own visions of justice—and sometimes winning. And on the other hand, I was acutely aware of the small percentages of women in leadership in the Jewish community and of dramatic salary inequities revealed by the Forward. I was grateful for the existence of Mayan, the creation of the Jewish Women’s Archive and, then, by the launching of Advancing Women Professionals in the Jewish Community which provided strategies for this work. It was staggering to realize that these were each significantly funded by Barbara Dobkin and that her larger effort to force the entire Jewish community to focus on the status of women was not supported by those in charge. Indeed, I was regularly struck by male leaders who denied there was a problem, telling me — real fact — that the jobs running Federations around the country were not good for women. There is still only one woman CEO in the largest city federations, and pay inequities continue. But we are at an important new moment. Brave women in the broader community have pulled the curtain back, sharing horror stories of being subject to sexism, harassment and abuse simply because they were doing their jobs. Many of these #MeToo moments involved Jewish men, some forced out of their positions as a result. Powerful sessions were held in New York and Washington letting women testify about their experiences, but there is still much we don’t know. The problems are endemic, damaging girls and women in our lives and our organizations; this is the time to address them. We have new research on continuing challenges for women in Israel. And a critically important effort called “The Partnership” has been launched in the U.S., bringing together funders, service providers, and activists to take a hard look at continuing rampant sexism and bias and identify what is needed to promote safety, respect and equity in our organizations. Most importantly, The Genesis Prize Foundation, sensitive to these issues, has focused its work this year on women. It bestowed a Lifetime Achievement award on Justice Ruth Bader Ginsburg for all she has done as a lawyer and jurist on behalf of women’s rights, and, knowing that money helps both to focus attention and to support the work, it has launched two grant competitions to address the issues in Israel and in North America. Working with the Jewish Funders Network, it hopes to identify partner donors ready to do the tough, cutting edge work that will create healthier and safer work places for women, stop harassment and abuse and promote gender and pay equity. Only complete equity will make it possible for more good work to be done in our Jewish organizations. Let’s not lose this opportunity. We need additional partners, we need organizations to adopt The Partnership guidelines, we need women to keep fighting for our rights and we need men to support us because they know that full equity will make it more possible for more good work to be done. 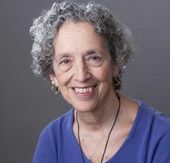 This story "Ruth Messinger: Jewish Organizations Are Way Behind On Gender Equity" was written by Ruth Messinger.